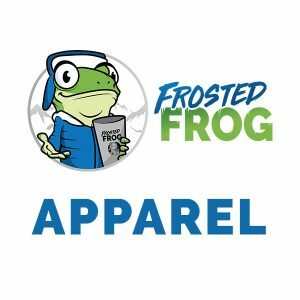 Based out of Rock Valley, Iowa, Frosted Frog’s goal is to provide customers with the best products and best customer service around. 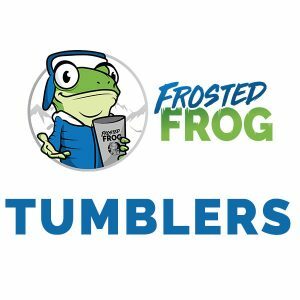 We make and sell coolers and tumblers, but they’re not any ordinary coolers and tumblers – these products are made from the highest-quality materials that will keep your food and drink cold for hours on end. Whether you’re hiking in the mountains or just need a cup to bring your coffee to work everyday, Frosted Frog has got you covered. 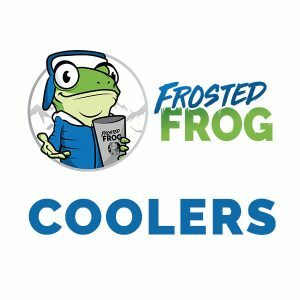 From everyday use to special occasions, you can count on Frosted Frog to keep you chill. Our frog friend Jeremiah Archibald was hatched and raised by his working-class amphibious parents Bull and Ethel, industrious members of the American shrinking middle class, on a small rural homestead established by Jerry’s great-grandfrogs in the serene farm country of America’s heartland. Since the young Jeremiah was a smaller larva than average, papa bullfrog chose a big name for his son hoping his son would grow into it, but his school chums always called him Jerry. He led an idyllic carefree tadpolehood, catching flies in the fragrant meadows, bellyflopping with his friends from floating lilypads, and chasing the cute girl polliwogs from the neighboring farm ponds. As he grew and completed his metamorphosis, Jerry, being of working-class lineage, was expected to contribute to the family economic well-being as well as their greater mission of feeding America, by helping care for the farm animals and the tending the fields. One particularly hot cloudless summer day, with the past winter hibernation barely a fond memory, the relentless sun beat down on Jerry and his bare froggy legs while he worked the field from the family’s aging but trusty green tractor. Poor Jerry, although shading his head with the latest cap from the local implement dealer, struggled to stay cool in his sun-heated vinyl tractor seat. Because of course his contented but less-than-prosperous family, already struggling from the affordable housing crisis, couldn’t afford a tractor with an air-conditioned cab. And, well, frogs can’t sweat you know. The cool beverage Ethel had lovingly packed for him that morning along with a peanut butter and mosquito sandwich, grew warmer and warmer in the heat of the day. O how Jerry wistfully longed for a cool frosty beverage to cool his tongue – and that’s a challenge because his sticky flycatcher is almost half as long as he is, as all froggy tongues are. As he drove his faithful green tractor to and fro in the farm field, he tuned the staticky tractor radio in to KHOP and daydreamed about a magical drink holder that would keep his sodas frosty and fizzy as long as the Midwestern farm workday. Although pennies were tight, Jerry’s considerate mother Ethel kindly promised to shop for such an indulgence for her hard-working son. Because Jerry had never given Bull and Ethel any trouble like some of his teenage froggy peers who’d been caught with Croak Light and smoking milkweed. But what a shock the dear Ethel had! Jerry’s wishful daydreams were shattered as they were dismayed to discover that all such items available at the Frogmart were either of sadly poor quality, or distressingly overpriced, or both! Disappointed yet determined, and with the entrepreneurial spirit that America was built on, Jerry fervently resolved to devote the rest of his average 10-year lifespan to designing a fine quality cooling product for a price that was affordable for thirsty individuals from every hop of life regardless of socioeconomic status. Jerry’s hard work, determination, and belief in free enterprise paid off, and today our friend Jerry is excited to offer high-quality frost-preserving insulated roto-molded coolers and vacuum sealed insulated tumblers for sale in his favorite colorful shades to all his friends and neighbors from every class of vertebrates. Check out the Frosted Frog branded products, and come back often to see new frosty additions!